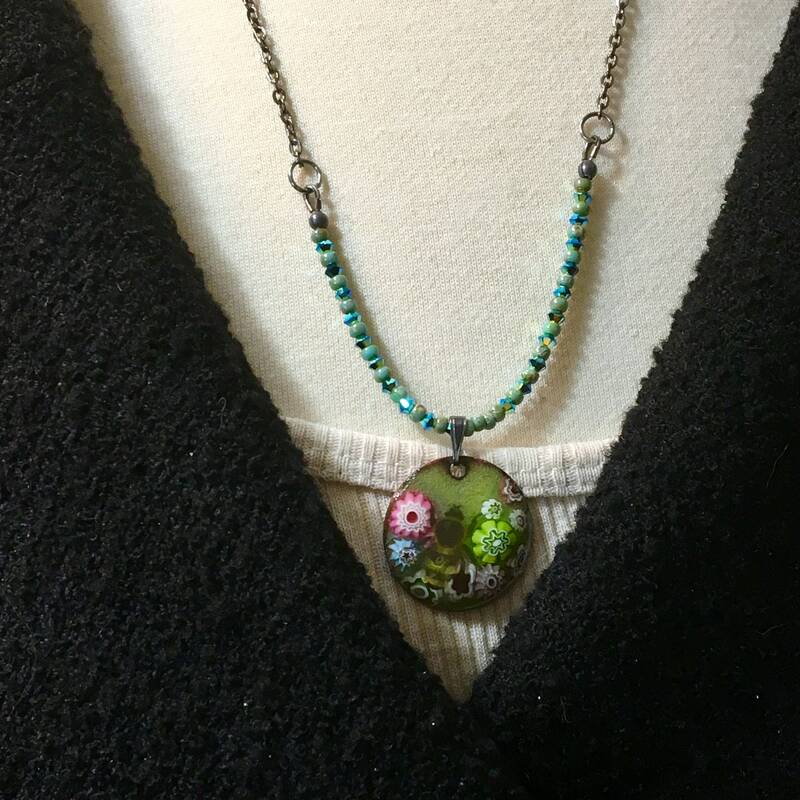 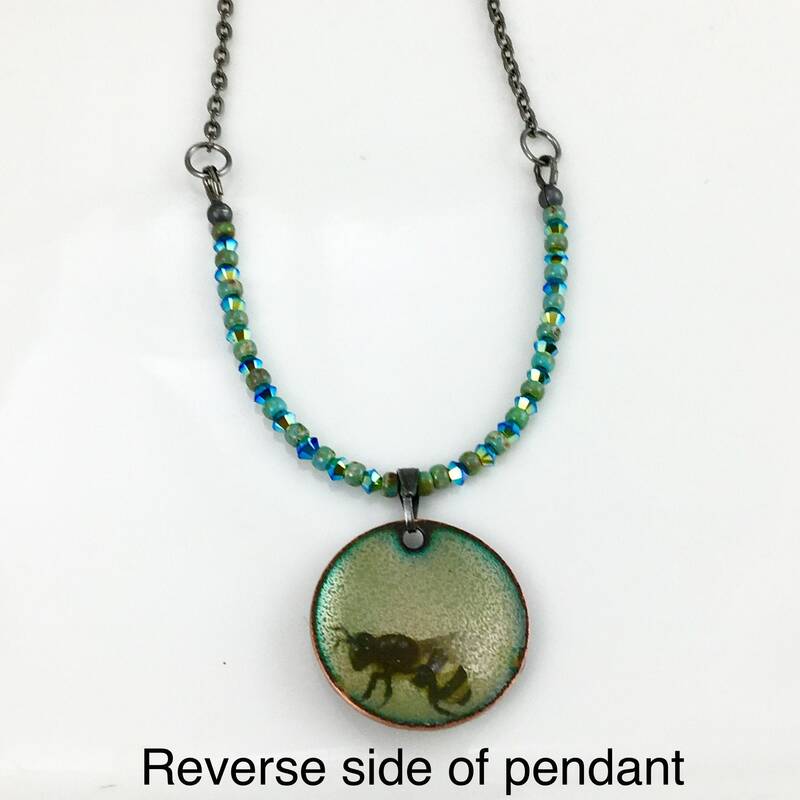 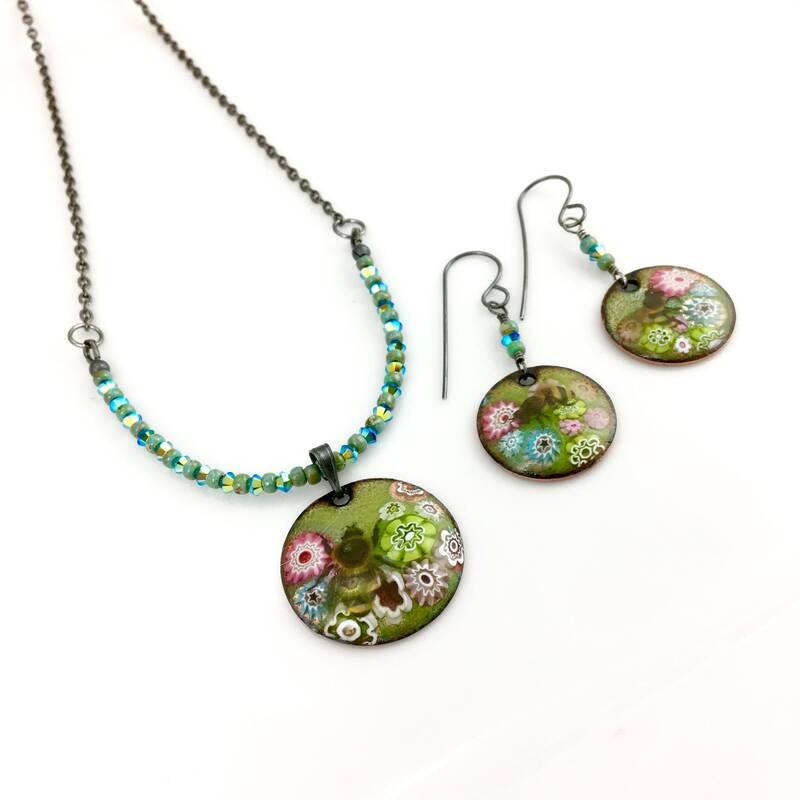 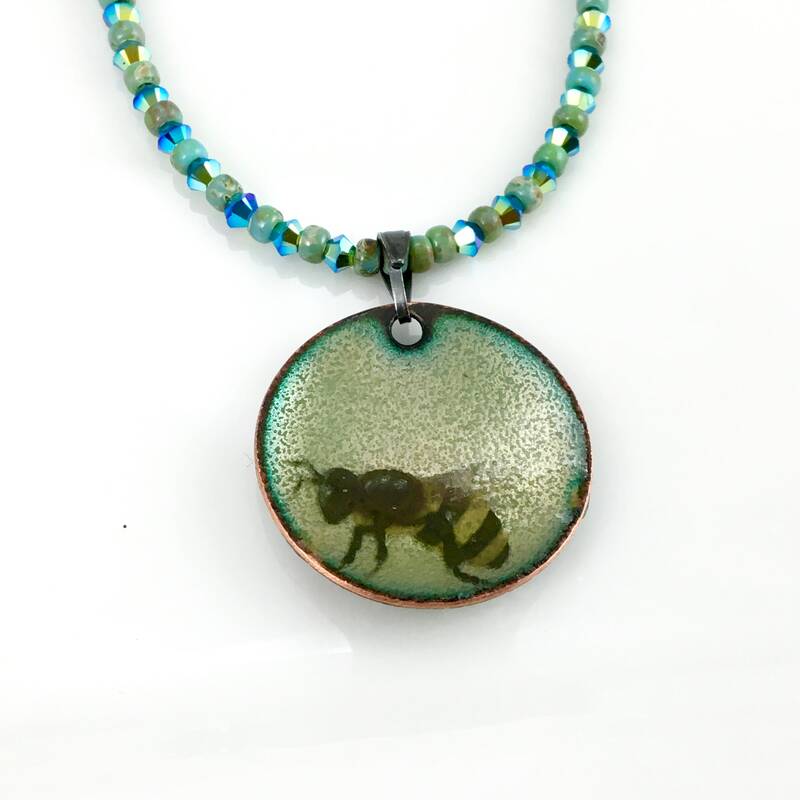 Original enameled pendant features a collage of beautiful patterned flowers in sweet pastels with a busy honey bee at work gathering her nectar. 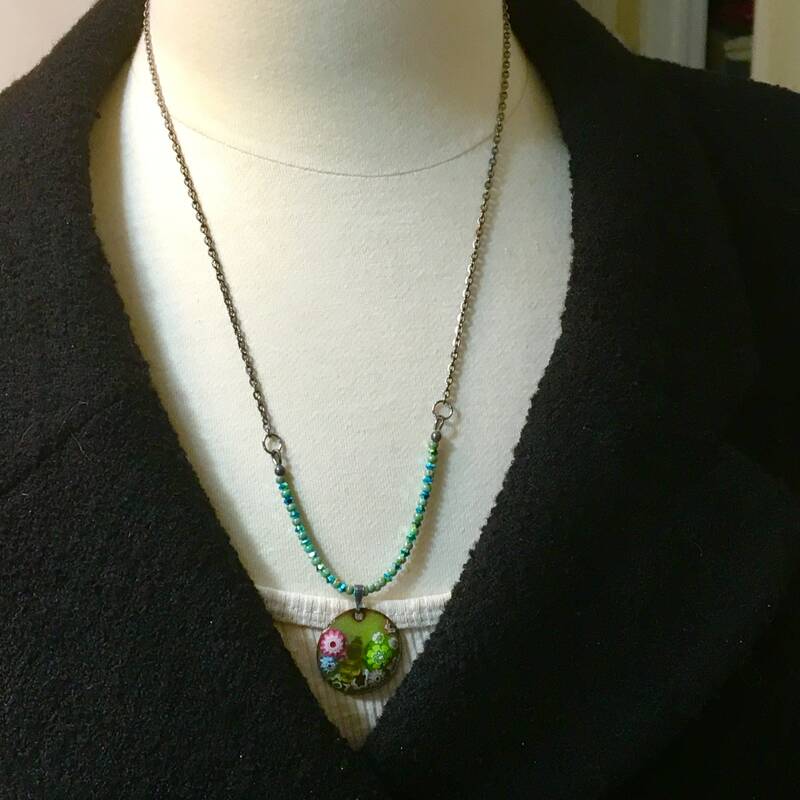 Pastel shades of teal Swarovski Crystals & turquoise Czech glass add to this unique focal and connect to gun metal fine brass chain for a total 22” long necklace. 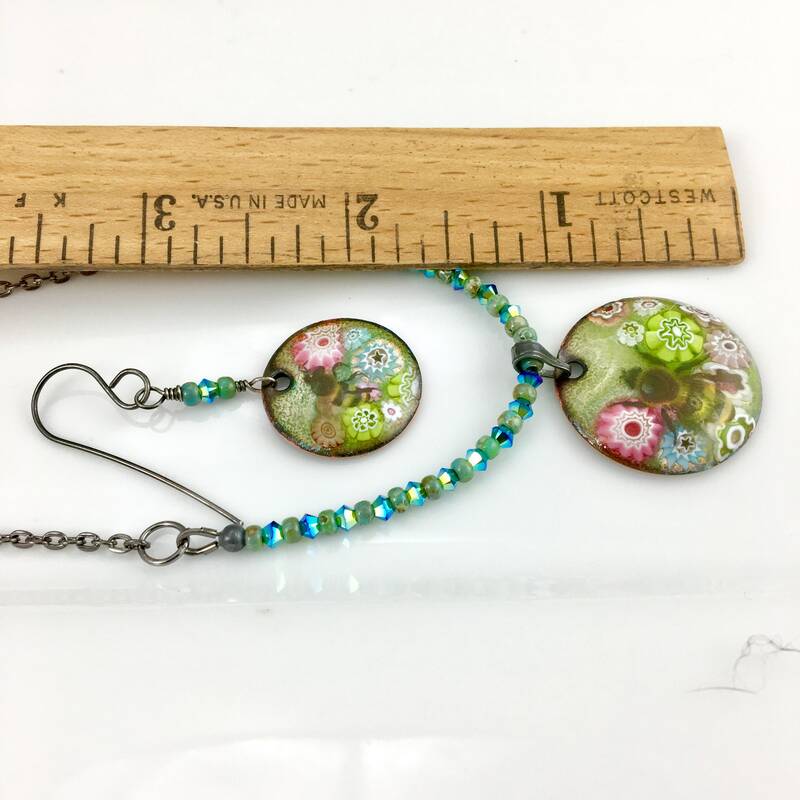 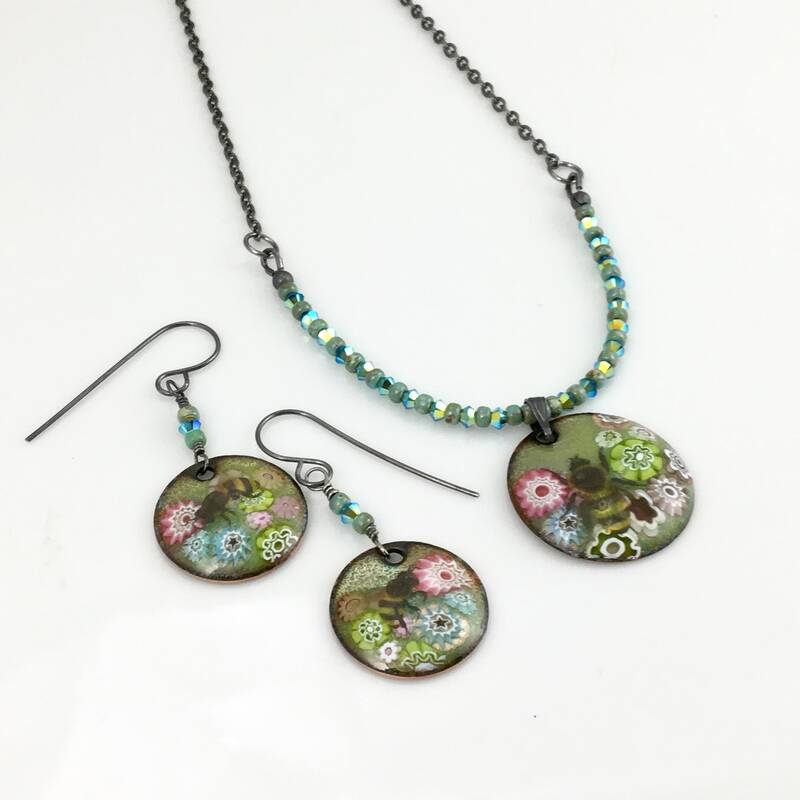 Coordinated enameled earrings complete my set of original art jewelry. 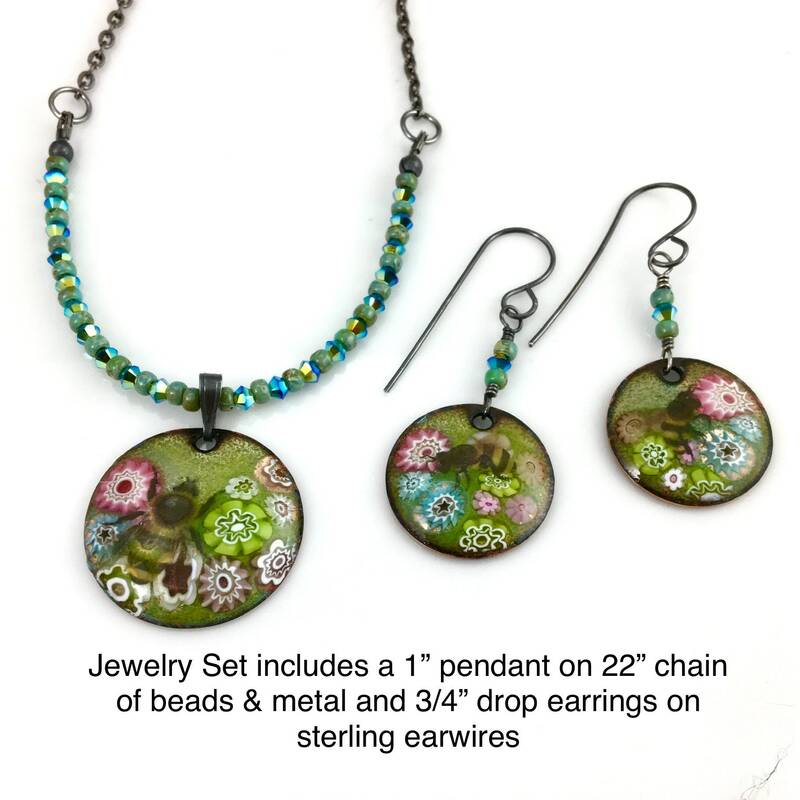 Ready to mail and an extraordinary gift, packaged in my signature box. 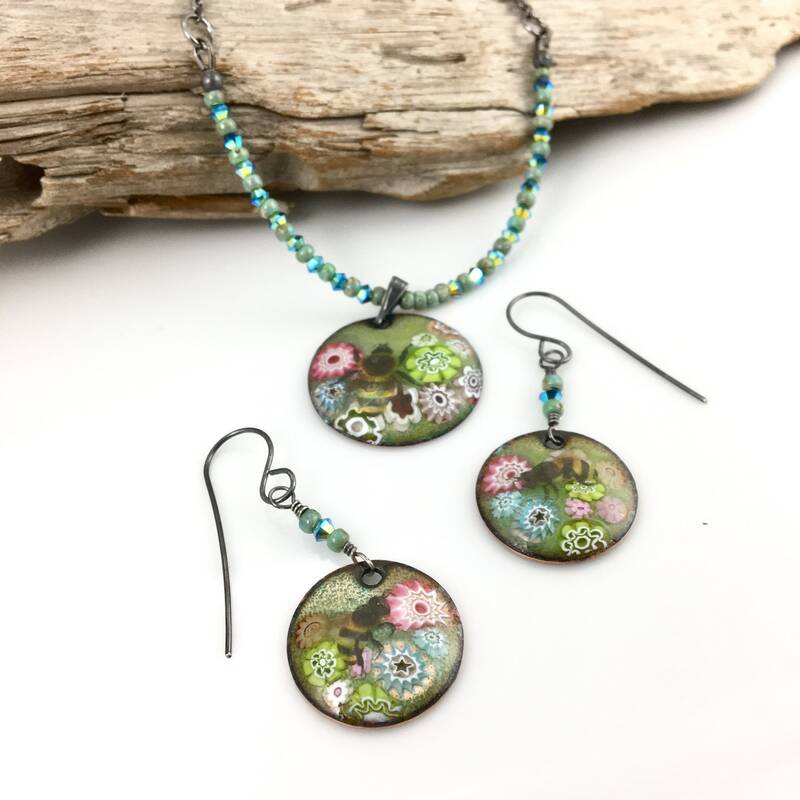 Copper disks are repeatedly coated, front and back, with fine powdered glass and fired multiple times in a kiln at 1450 to 1500 degrees F. The glass is manipulated and arranged to develop my designs inspired by gardens, pollinators and the beauty of nature.